Epsom Salt can do great things for a variety of different plants to help them flourish. 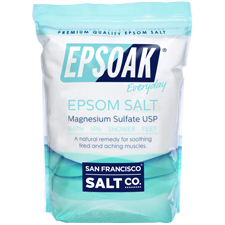 The properties of the two key components of Epsom Salt: Magnesium and Sulfate - are what make Epsom Salts so beneficial for use around the garden. 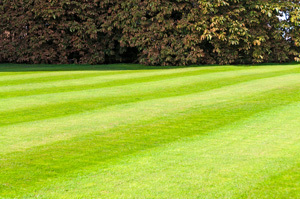 Our Epsoak® Epsom Salt is of the highest quality, making it an ideal selection for keeping your lawn looking gorgeous. And the best part is, using Epsom Salt in caring for your lawn is an all-natural and inexpensive way to help give your lawn the nutrients it needs for it to thrive. Lawns can be fickle. Without the perfect weather and care, your lawn can turn course, bare, and worst of all, lose its beautiful green color and turn a sickly yellowish brown. This is where Epsom salt comes in: Epsom salt is very helpful in ensuring a healthy, green lawn all year round, even in the dry heat of summer. Not only will Epsom salts help your lawn stay beautiful to look at, your lawn will also be more lush and softer to the touch. You can use a tank sprayer like the one you use for your garden, a normal garden hose with a spray attachment, or a lawn spreader. You’ll use three pounds of Epsom salt per 1250 square feet, six pounds for every 2500 square feet, and twelve pounds for every 5,000 square feet. Spray on your lawn evenly (and regularly) to ensure to beautiful lawn your neighbors will envy! Like our website? then please spread the word. Our website is packed with original copyright and honest information. We'd love to share it with the World so feel free to link back to us by placing the following html code onto your website.